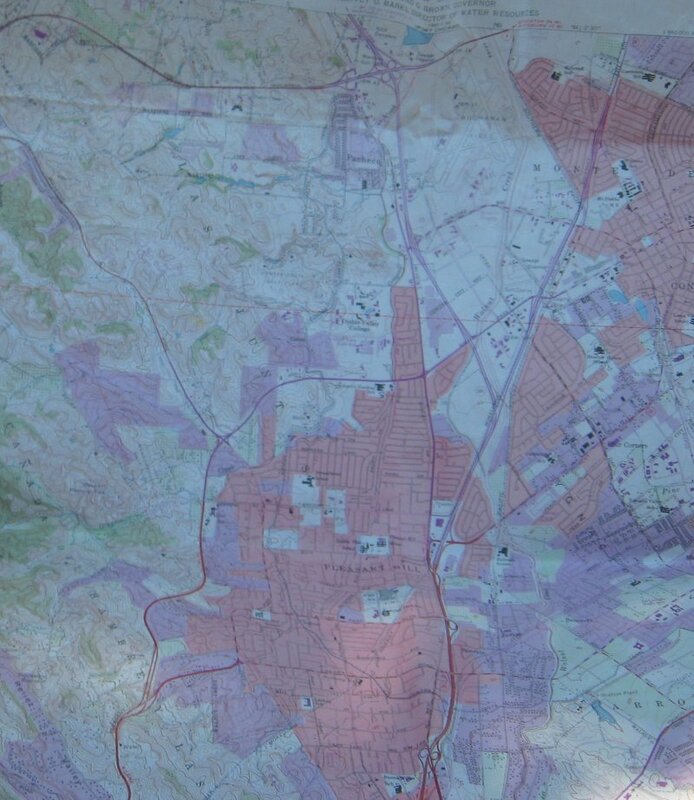 1968 Wall Map, Walnut Creek, Contra Costa County California. Upper left hand corner of this map says United States Department Of The Interior Geological Survey. 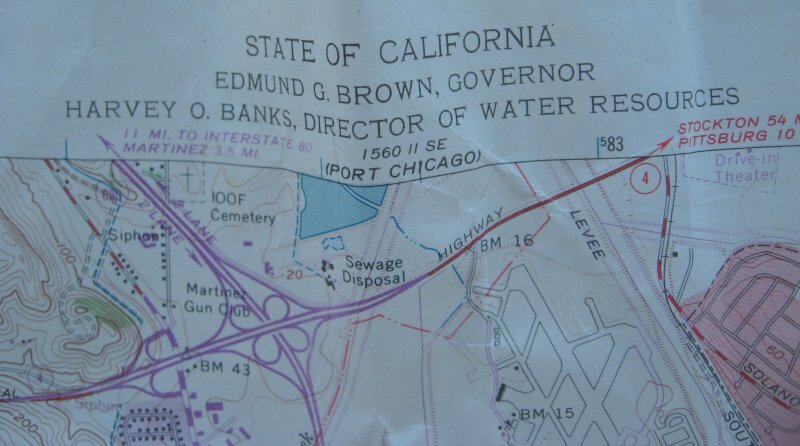 Upper center area says State Of California, Edmund G. Brown Governor, Harvey O. Banks Director of Water Resources. 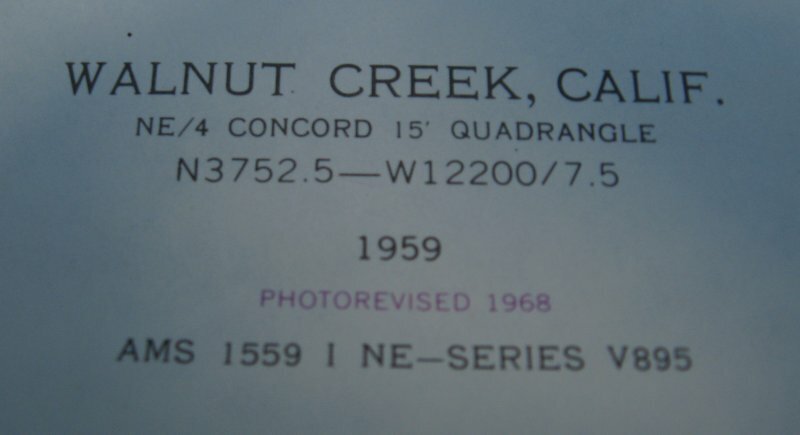 Upper right hand corner says Walnut Creek Quadrangle, California-Contra Costa Co. 7.5 Minute Series (Topographic). All along the bottom there is quite a bit of information about the road classifications, the scale, grids, etc. *Special note regarding date...... 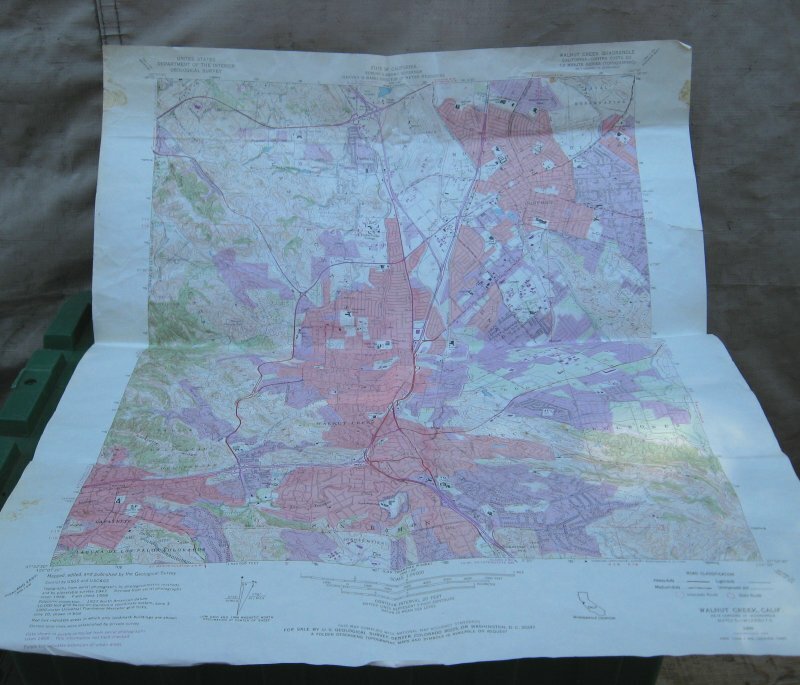 The map is dated 1959, but also says photorevised 1968. For its age of almost 50 45 years (going by the 1968 date), its in good shape. It has been folded a couple of times. There are a few small tears of about a half inch or less with one tear about an inch and a quarter. Those would be covered if this is framed, but even not framed theyre not bad. Shipping will be from Arizona via USPS First Class Mail. Buyer to pay delivery charges of $3.99. I do combine shipping on multiple items purchased as long as all items will fit into a single box. However, my web host is not set up to calculate multiple item shipping costs. At checkout, you will be charged full shipping price on each item purchased and I will refund the appropriate amount of overpayment. If you are uncomfortable with that, you can send me an email with your zip code and stating which items you'll be purchasing and I'll calculate the correct combined shipping charges and send you a custom invoice.